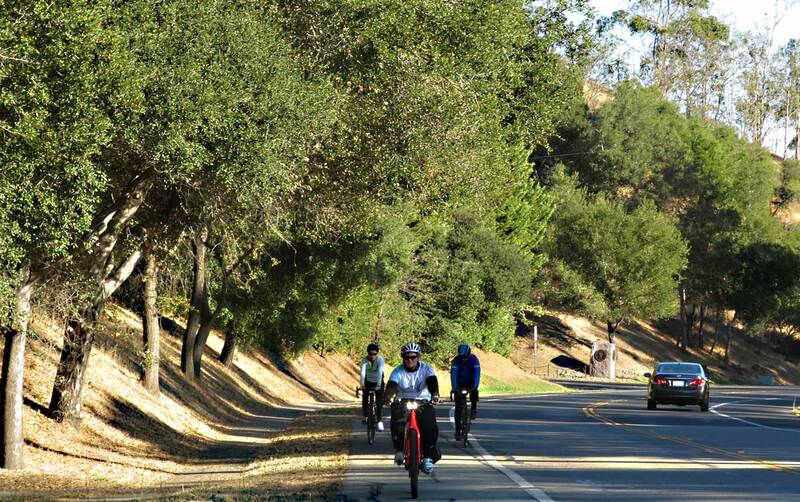 E-Bikes and range/mileage… why speed matters! We had a customer who recently upgraded from a 20mph Class 1 e-bike to a 28mph Class 3. He was really happy about being able to easily do 24 mph on his commute now, instead of the 18 mph he’d been doing on his prior bike. But he was not happy with the “mileage” he was getting. He was expecting a “new & improved” model to have more range, and he was getting less (note that both bikes had the same 400 watt/hour battery size). Well, there’s really good reason for that. At 18mph, it requires about 144 watts of power on level ground. At 24mph, it requires about 300! More than double the amount of power. Let’s say the cyclist is producing 75 watts him/herself at 18mph, and 100 watts at 24mph. At 18mph, the bike’s motor/battery contribution is just 69 watts. At 24mph, even with greater output from the cyclist, the motor/battery have to provide 200 watts. Nearly 3 times as much. Even comparing a 400 watt/hour battery on the slower bike to a 500 watt/hour battery on the faster bike, the range, at 18mph vs 24mph, will still favor the slower bike. What happens on a climb? If you’re riding with friends, no difference between the Class 1 & Class 3 bikes because A: You’re going the same speed either way, and B: At slower speeds (let’s say your friend are fit and managing 10mph on a 6% grade) air resistance is almost an insignificant factor. But this means there’s also less advantage to the more-powerful e-bike (providing you and the bike can put together the roughly 300 watts to climb that grade at that speed). Another way of looking at this is that it’s no more difficult for an e-bike to do 10mph up a 6% grade than to go 24mph on level ground. So whatever amount of time you have on level ground at 24mph will be about the same time you’d have on climbs. Locally Kings Mtn would be an easy example, since it’s about 6% and takes about 30 minutes. You would go 12 miles in 30 minutes at 24mph, while on Kings, you’d cover 4.3 miles up, but your total range might be considered 8.6 miles because you’re coasting back down. Interesting stuff, this. I’d never thought about it until getting the email from the guy asking about the range issue on his new, more-powerful bike. Bike “For” Work looks Painful! 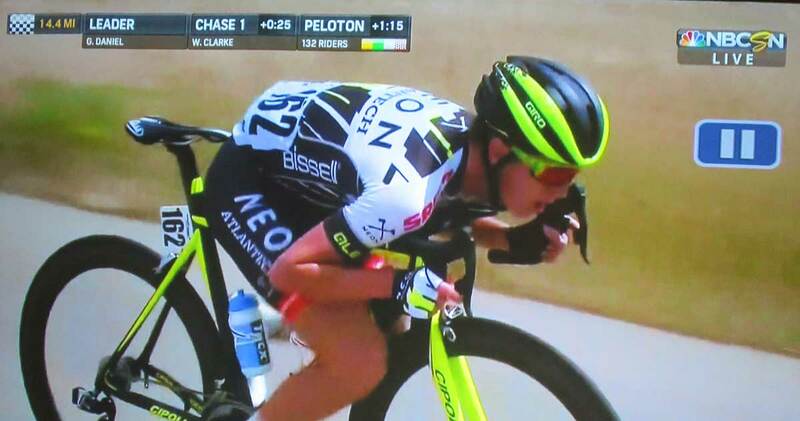 You’re looking at Greg Daniel, a young guy (20) on today’s Tour of California stage, redefining, in what certainly looks to be a painful way, what it means to be “aero.” Not obvious in the photo is that he was actually pedaling like this, not descending/coasting.